A total of 20 Freescale Semiconductor employees were confirmed passengers on Malaysia Airlines Flight MH370 en route from Kuala Lumpur to Beijing. A statement issued by the company in Austin, Texas (US) added that of the total 12 were Malaysians and eight were from China. The entire Freescale Semiconductor community is deeply saddened by this news. The company is continuing to monitor the situation and will provide more information as it becomes available. "At present, we are solely focused on our employees and their families," said Gregg Lowe, president and CEO, Freescale. "Our thoughts and prayers are with those affected by this tragic event." The statement added the company has assembled counselors and other professionals through Freescales Employee Assistance Program, with around-the-clock support for those impacted by this tragedy. 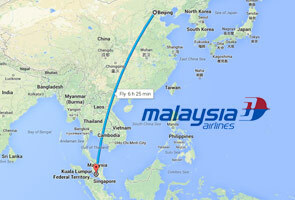 Flight MH370 with 227 passengers and 12 crew members is feared to have crashed off Vietnam's coast. The search and rescue operations over South China Sea involving rescue agencies from Malaysia, Vietnam, the Phillipines, Singapore and China is underway.